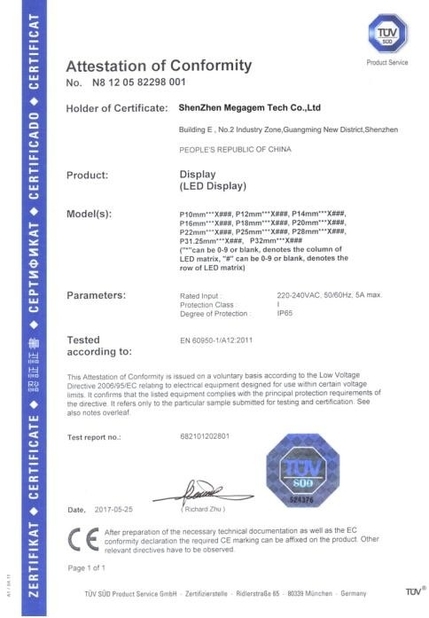 With high transparency rate of 60%-90%,Ensure the lighting required and Viewing angle range between floors,Glass windows,Building facade lighting without lighting ability affected to original glass facade. Create such feeling of the advertising image being suspended on the glass wall with the feature of transparency. It can show perfect advertising &artistic effect. 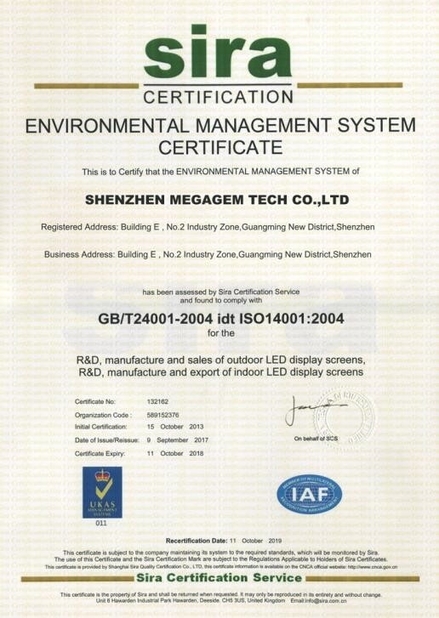 No need the traditional air-condition and cooling system,save more than 35%energy compare ordinary LED screen. 1. Good visualization: Glass based design allows the light to pass through the glass without any influence to the building structure around..
2. Ultra-thin, and ultra-light. the installed glass display takes very little space and without any increase in the glass wall loading weight. 3. 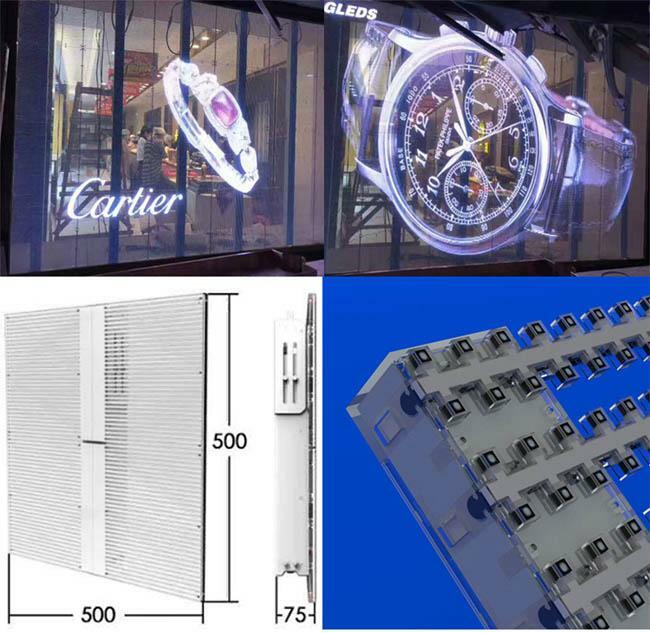 Frameless structure glass display can directly stick to the inside part of the glass wall by special designed glue, and it will connect with the glass wall firmly. Thus decrease the installation difficulty and cost greatly. 4. Easy and convenient maintenance. It can be maintained from inside, safer and more convenient. 5. Saving lighting costs of the whole building. 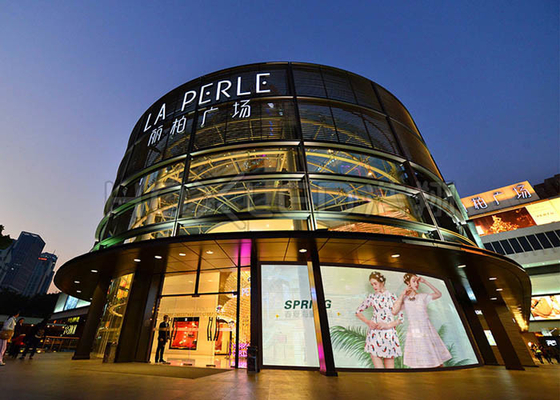 Besides good advertising effect, LED glass display also helps lighting the glass wall. 3. Customized design is available,OEM & ODM are welcomed.